Were you able to go to the Gina K. Designs release party last night? Three new stamp sets and an incentive set were released and they are all just TERRIFIC! 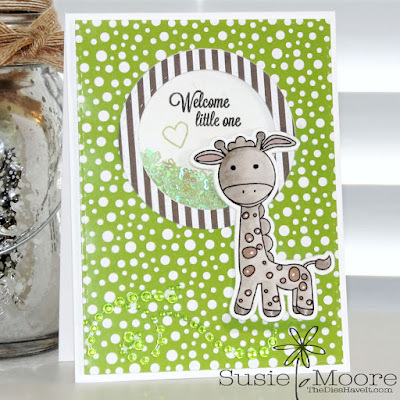 I used one of the new sets Genevieve Giraffe to make my card. I decided to make a shaker card with the sentiment inside the shaker. 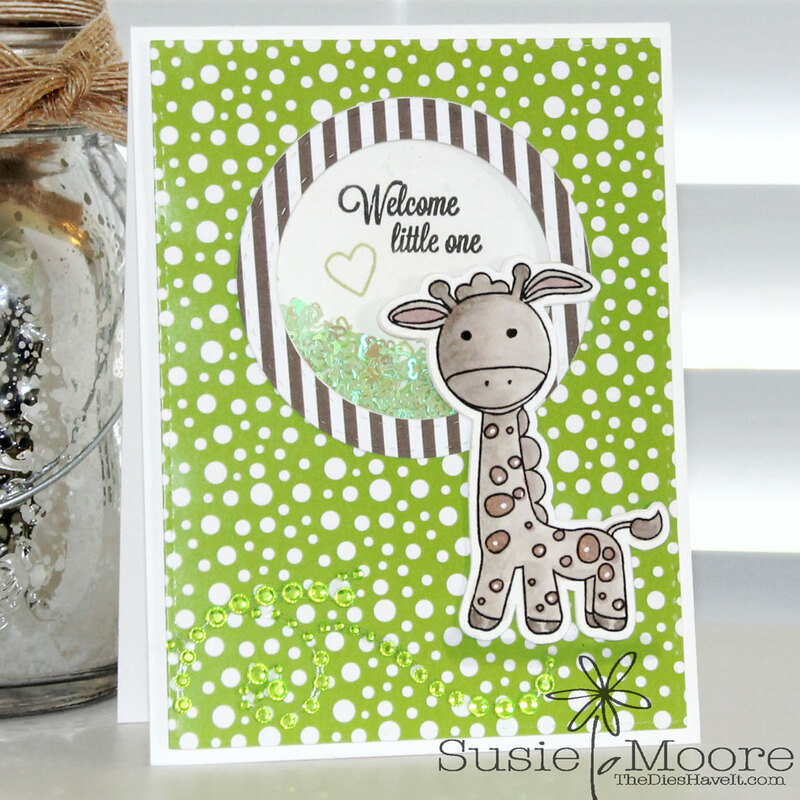 I cut out my giraffe using my Silhouette Cameo and stacked her four high to give her a little dimension. Then I decided the card needed some bling. Don't you love shakers? Don't you love Gina K? I bet the answer to both questions is a really big YES! Be sure to check out all the new stamp sets by clicking right here.